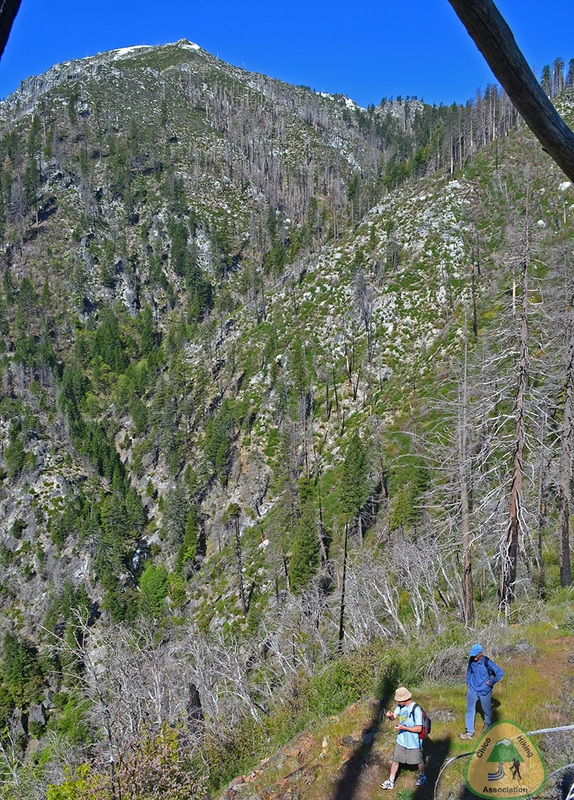 Ben Lomond rises 4200' vertical feet above the North Fork of the Feather River. This is big mountain scenery with a low base elevation. The trail hangs on the cliff above Chips Creek, until the first switchback. It then goes relentlessly up at a 20% grade to the knob. This is our steepest hike. Normally we would consider the grade excessive and disqualifying, but the soil type is firm and and less slippery than would be the norm for other trails. It is an easy day hike based on the mileage and elevation gain. That means it is easy to complete in a day. If you try to hike it fast, it is not easy. It can be snow-free any time of the year, but will be blocked by snow whenever the snow level drops below 4000'. Some years it snows often at this elevation, and some years it rarely snows here. If hiked when the weather is warm, try to start early in the morning before the sun gets too hot. 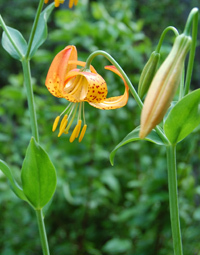 Look for Shasta Lily at Portal Springs in June.